They were playmates as children, impetuous lovers as adults-and for thirty years were the center of each others' lives. Astute to the dangers of choosing any one man, the Virgin Queen could never give her "Sweet Robin" what he wanted most-marriage- yet she insisted he stay close by her side. Possessive and jealous, their love survived quarrels, his two disastrous marriages to other women, her constant flirtations, and political machinations with foreign princes. 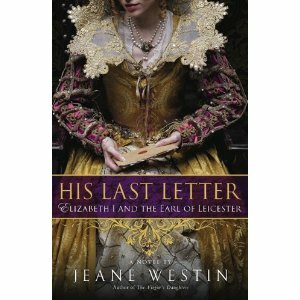 His Last Letter tells the story of this great love... and especially of the last three years Elizabeth and Dudley spent together, the most dangerous of her rule, when their passion was tempered by a bittersweet recognition of all that they shared-and all that would remain unfulfilled. 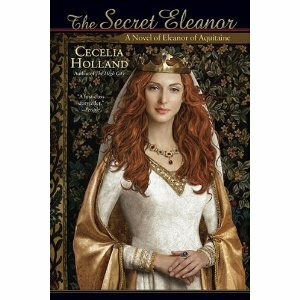 Eleanor of Aquitaine seized hold of life in the 12th century in a way any modern woman would envy! 1151: As Duchess of Aquitaine, Eleanor grew up knowing what it was to be regarded for herself and not for her husband's title. Now, as wife to Louis VII and Queen of France, she has found herself unsatisfied with reflected glory-and feeling constantly under threat, even though she outranks every woman in Paris. He is Henry D'Anjou, eldest son of the Duke of Anjou, and he is in line, somewhat tenuously, for the British throne. She meets him in secret. She has a gift for secrecy, for she is watched like a prisoner by spies even among her own women. She is determined that Louis must set her free. Employing deception and disguise, seduction and manipulation, Eleanor is determined to find her way to power-and make her mark on history. It is the reign of England's Henry VIII. He is still married to his first of six wives, Catherine of Aragon . Yet, he has a problem with a certain young woman - his 16-year-old sister, Mary Tudor - whom he is determined to marry off. The lucky suitor (and the one who has the most to offer Henry) is the aging and feeble King Louis XII of France. A first-person narrative novel about Henry VIII's daughter, first in a trilogy.